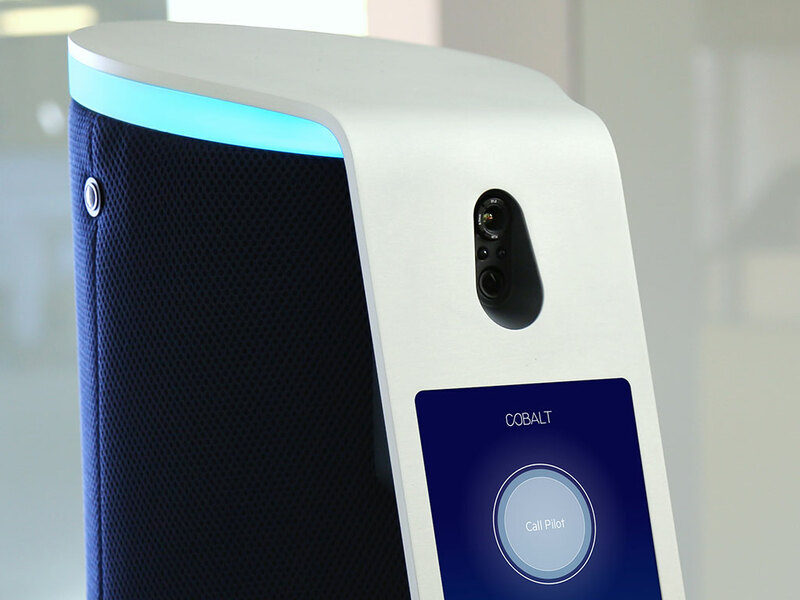 Cobalt is an indoor security guard robot that can recognize faces, check badges, and use an array of sensors to identify potential security or environmental threats. 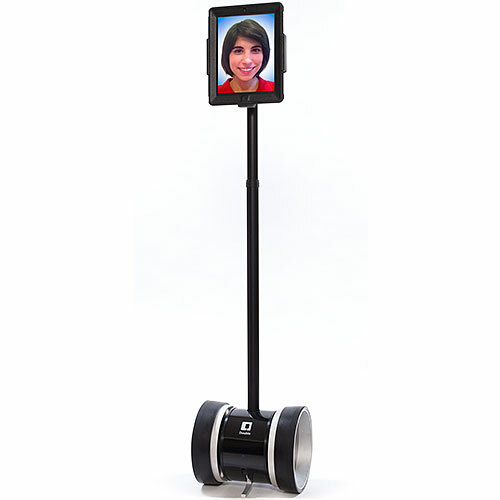 It navigates both autonomously and under supervision of a human operator. Checking IDs and taking names. 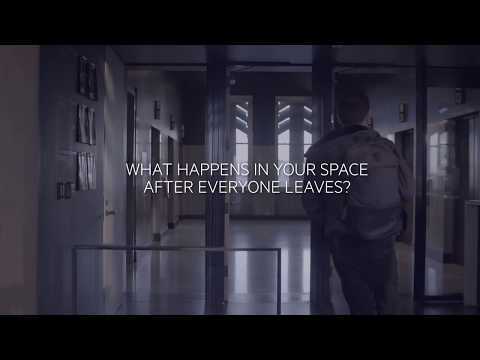 When everyone leaves, this robot goes to work. 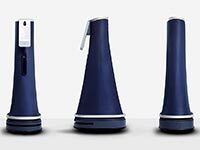 Swiss designer Yves Béhar dreamed up Cobalt's look to align with office décor instead of the typical metallic appearance of robots. Early Cobalt robots startled on-site employees because they were too quiet. 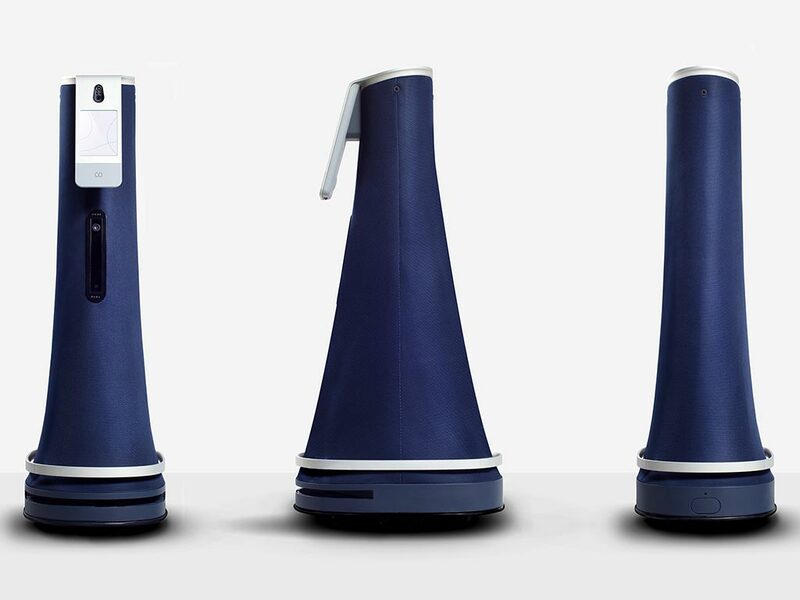 The company added sounds, such as R2-D2 whistles, to play when someone is nearby. 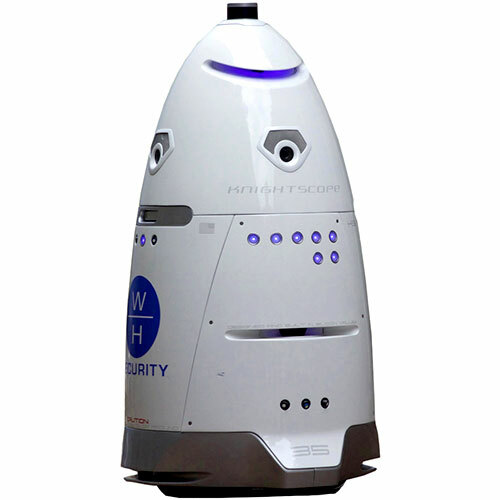 The robot has a siren to alert people to intruders, but it's so loud and alarming that the company never demos it. Autonomous operation. 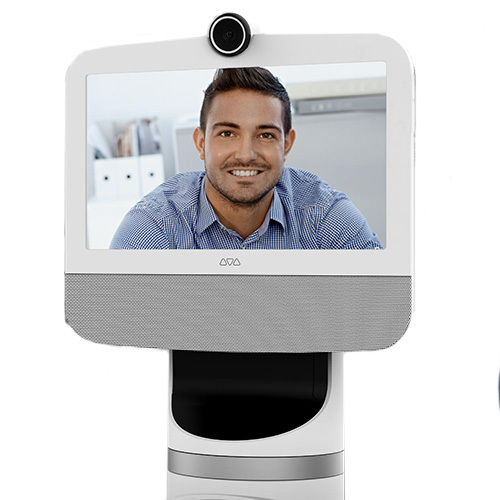 Two-way video and audio communication. Intruder detection and deterrence. Remote human operators. Emergency response. Badge reader integration. Over-the-air updates. Wi-Fi mapping. Environmental sensing. Anomaly detection and asset tracking. 3.2 km/h | 2 mph (average). 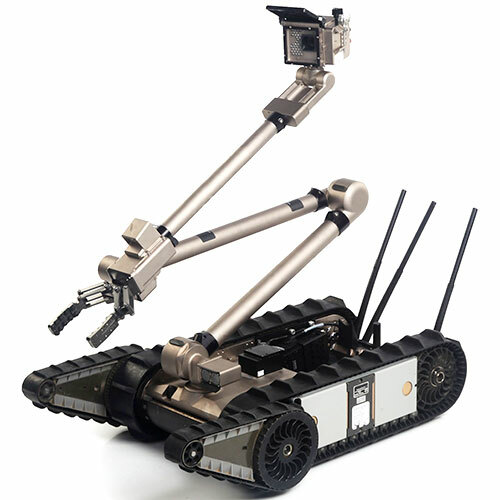 In emergencies, the robot can go up to 9.7 km/s (6 mph). 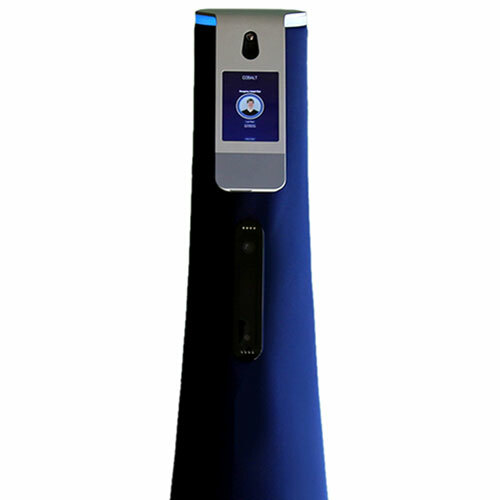 3D scanner for obstacle avoidance and navigation. Secondary 3D scanner, pointing down, to detect small obstacles and cliffs. Four-camera array, with infrared cameras. Navigation sensor with long range (20 meters) and wide field of view (270°). Environmental sensors (smoke, carbon monoxide, humidity, temperature, and dust in the air), thermal, ultrasonic, and bump sensors. Two long-range RFID sensors to track assets and high value items. Microphone array. Badge scanner for mobile access control and employee authentication. Lithium-iron-phosphate battery, 8 hours of operation; 2 hours to charge from empty. Automatically tops off charge every hour to ensure battery charge while on duty. High-end server-grade computer with NVIDIA 1080-class GPU. Secondary compute resources to manage networking and safety-critical systems. Body of the robot is covered in fabric, which is detachable and water-resistant and hides speakers, cameras, and an environmental sensor bay. Top part of the robot is metal housing for compute and sensing modules. 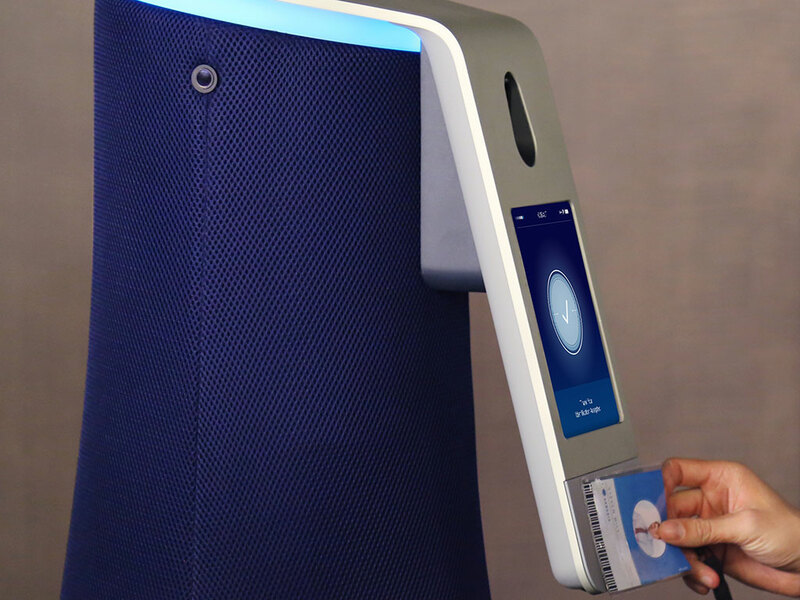 $75,000 per year for security service, including robot, specialists, and set up.